Mykola Shyptur was born in 1978. He lives in Ivano-Frankivsk, married, has a son. He has not participated actively in social and political life in general, or affiliated with political party. Before the events of Maidan, the Shyptur family lived and worked in Spain several years, then returned to Ukraine. At the time of a new acute stage of the revolutionary events early in 2014, Mykola Shyptur (who, according to his wife, always responds to requests for help) was unemployed. In January 2014, with a sense of solidarity, Mykola went to Kyiv. He mainly dealt with the protection of one of the key revolutionary locations – the building of the Kyiv City State Administration. Later, on call of companions, he went to Crimea to support the campaign for the 200th anniversary of Shevchenko. 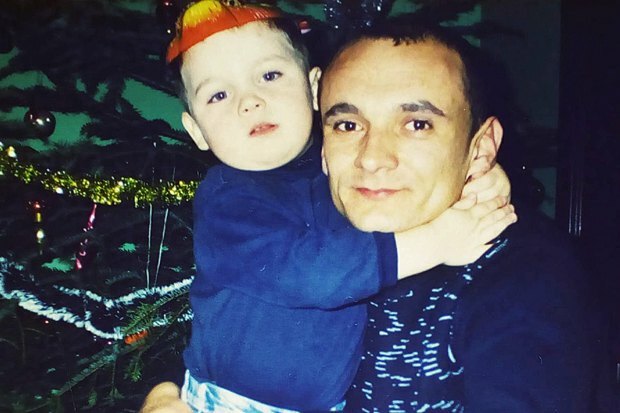 Just over a year later, on April 28, 2015, Volodymyr Sybula, the judge of the occupational Haharynskyi District Court of Sevastopol, adopted a decision to sentence the citizen of Ukraine, Mykola Szyptur, to 10 years of the colony of a strict regime for committing crimes under Part 1 of Article 222 (arms trafficking) and Part 3 of Art. 30, pp. “b” and “e” p. 2 Article 105 of the Criminal Code of the Russian Federation (attempt to murder a person for his/her employment activity or performance of public duties committed publicly in a dangerous way). On June 16, the occupational Sevastopol City Court dismissed the charge of arms trafficking, as well as reduced the sentence on charges of the attempted murder – to 9 years for procedural reasons. But the subject matter left unchanged. For a year and a half, Mykola Shyptur has been staying in the colony №1 of Simferopol. Every day he spends in barracks together with about 100 prisoners in appalling sanitary conditions and inadequate nutrition. What has happened to the activist of Maidan? Why is he still in Crimea? How has it happened that his history is unknown to Ukraine?